Desi Smith/Staff photo. 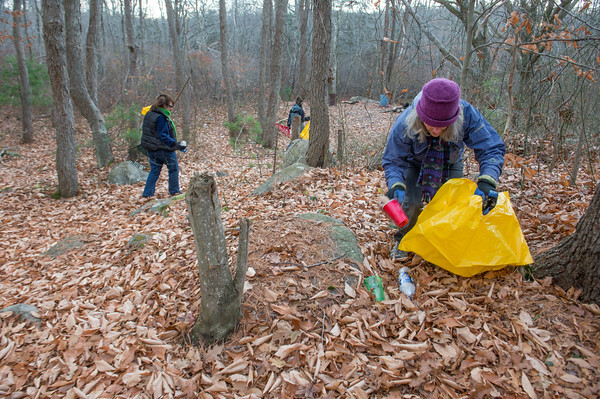 Lois McNulty, right, starts in on picking up trash left by teens at a party spot in the woods off Cherry Street in Gloucester, as volunteers Kathryn Goodick, Donna Ardizzoni and Amy Kerr seek trash further in the woods. The One Hour at a Time Gang, led by Ardizzoni, and Kerr of Clean Gloucester organized the cleanup as part of their regular Saturday morning fight against litter in the city.